Volvo’s push with introducing new products continues with the arrival in April of the first models in their XC40 compact SUV range of 2WD and 4WD (AWD), petrol and diesel models, and to come plug-in hybrid and fully electric powered versions – to be added to the line-up later. The Volvo brand has gone from near bankruptcy to high flying under the ownership of the Chinese Geely Automotive Group of brands and last year they sold 571,000 vehicles globally. 46,000 of that total were sold in the UK giving the brand its second highest sales success in 25 years. Volvo’s global operating profit for 2017 was £1.2 billion, a 27.7% increase. The XC40 has arrived with the best possible start to its sales programme, having just been announced at the Geneva Motor Show as 2018 European Car of the Year to add to its first UK award – the What Car? magazine’s Car of the Year 2018 accolade. 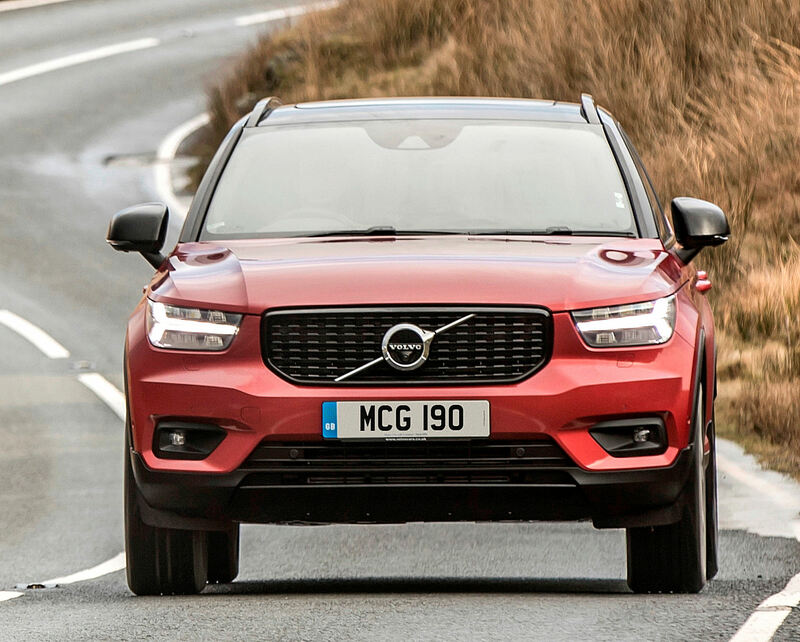 But awards are not new to the new generation Volvo products with the large XC90 SUV, the mid-sized XC60 SUV and the S90 Saloon and V90 Estates all gathering ‘gongs’ from the motoring media globally and in the UK. Later this year the new S60/V60 range will also be introduced. So far in the UK advance orders for the XC40 are double the planned rate but the company will not give a projected 2018 sales figure. All they would say at last week’s UK media launch that in its mid-sized SUV sector of premium brands, which in sales order are the top-selling Range Rover Evoque, the Audi Q3, BMW X1, Mercedes-Benz GLA and MINI Countryman, they expect to be in the middle order of sales figures – so we can assume around 14,000 units in its first full year of sales, but it could be more. 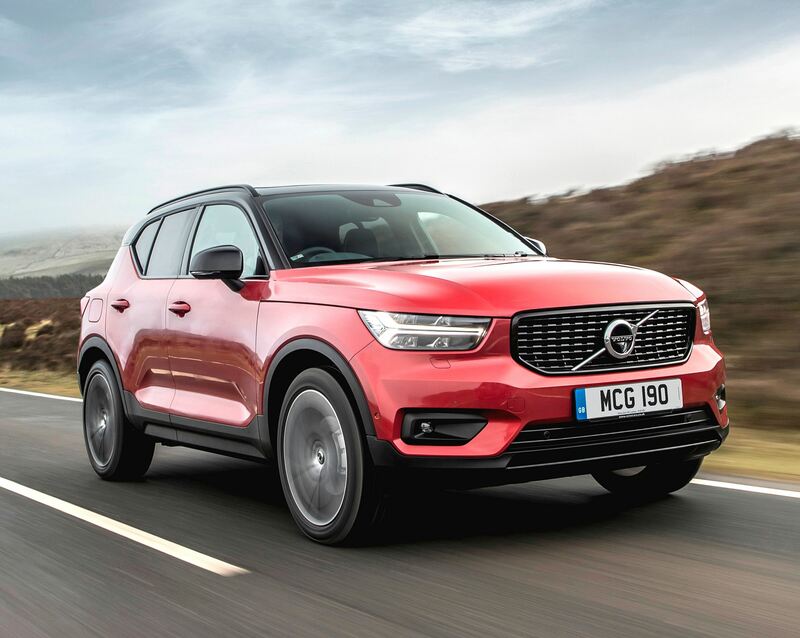 As an indication of initial demand the first XC40s to arrive will be the top spec First Edition versions and already of the 1,200 units available over half have been sold. These are priced at £39,905 for the D4 diesel AWD auto and £40,055 for the T5 petrol AWD auto. The current price list, including future petrol and diesel engine options, shows 46 different derivatives with hybrid and electric versions still to be added. 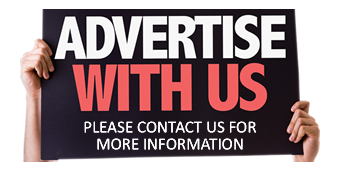 Current prices start from £27,905 and rise to £40,055. 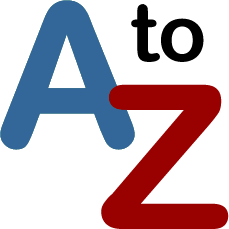 Core specification levels available, depending on the engine chosen, are Momentum, R-Design and Inscription but there are sub Pro levels for those three. There are also the First Edition versions. The anticipated UK sales mix of specification is 30% Momentum and Momentum Pro, 40% for R-Design and Pro and 30% for Inscription and Pro. When it comes to engine choices there are the 2.0 litre turbodiesel 150 hp manual and auto with 2WD and AWD and the D4 190 hp auto with AWD. For those that prefer to have a petrol unit there is the T4 190 hp auto with AWD and the T5 247 hp auto with AWD. Also joining the range is a 1.5 litre, three-cylinder T3 petrol unit with 156 hp, manual with 2WD.The sales split is likely to be 40% D3 2WD, 20% D3 AWD, 15% D4 AWD, 10% T3 FWD, 10% T4 AWD and 5% T5 AWD. 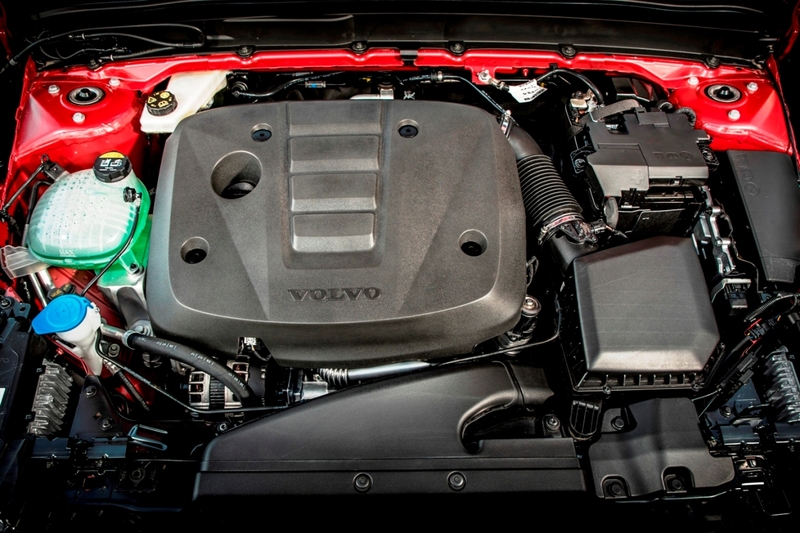 This means that 75% of UK customer choices might be for turbodiesel units but Volvo say that could change with the national new car market swing to petrol units. It is thought there will be a 50/50 sales split between 2WD/AWD models. Volvo UK said at the media launch the target customer for XC40 is aged around 35, either a couple living together or married with a toddler, they are open to new experiences, services and products, they want connectivity services via a smartphone or tablet and convenience is a key requirement. Being realistic there will also be demand by older empty nester customers who just want a premium quality fashionable SUV styled vehicle. Financial ease of ownership is crucial in today’s new car market and Volvo gave two examples. For the T3 Momentum manual with the Personal Contract Hire scheme there is a 36 month £279 per month fee, or with Personal Contract Purchase there is a 49 months £279 cost. According to HPI industry figures the T3 petrol is expected to hold 47% of its value after three-years/60k miles period and the D3 diesel 45%. But there is another path to having a new XC40. To coincide with the launch of the new model Volvo is introducing their Care By Volvo premium subscription service, initially available inside the M25 area but to other major cities later. As an example for the T5 and D4 First Edition models a customers can rent for £779 per month over 24-months, the use of a car which includes servicing costs, insurance, roadside assistance, Volvo On-Call concierge service and the use of another Volvo car for up to 14 days a year. That’s the model line-up, sales predictions figures and finance options out of the way but what about the vehicle? The XC40 has first use the new Volvo/Geely CMA compact platform which will also be used for the future S40/V40 new models. Volvo describes the styling of the XC40 as not a scaled down version of the larger XC60 or XC90 SUVs. 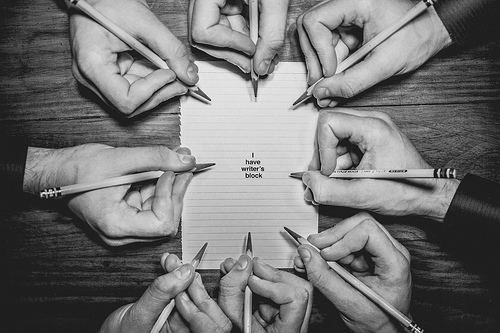 It has its own identity; don’t look on it as a brother, more of a cousin they said. 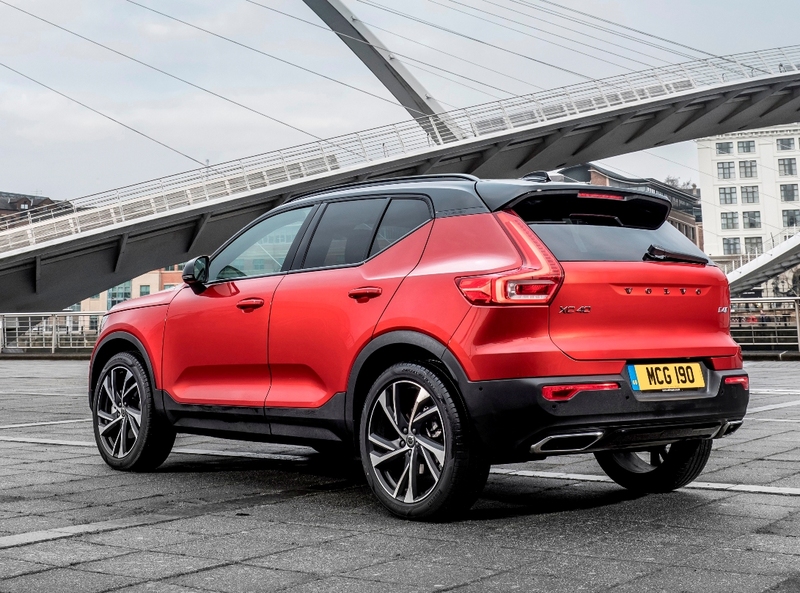 But the Volvo SUV genes are still evident, it looks chunky and imposing with a high waistline and unusually in this sector it has a slightly wider track at the rear than the front to accommodate wide haunches and a ‘planted’ stance on the road. The overall length is 4,425 mm (14.52 ft) with a 2,702 mm (8.86 ft) wheelbase. The width is 1,910 mm (6.27 ft) and height 1,658mm (5.44 ft). At the rear the boot gives a minimum of 460 litres of space (16.24 cu.ft) but with the rear seat backs folded this goes up to a maximum 1,336 litres (47.18 cu.ft), not the largest in its sector. 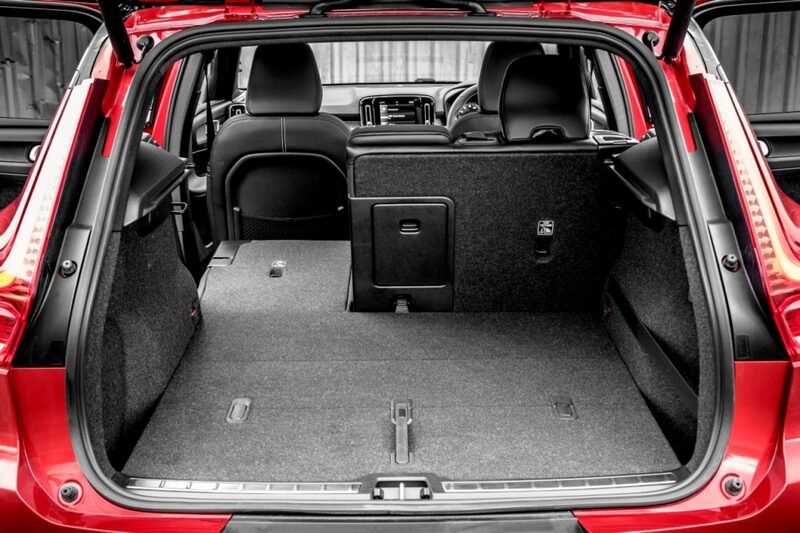 There is a cleverly designed ‘floating’ boot floor which can be folded to separate the boot into two areas to securely locate and segregate bags. 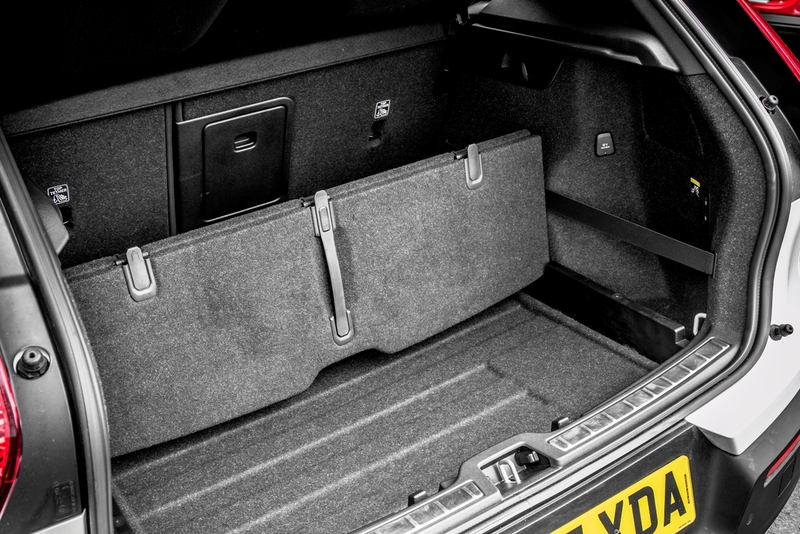 In addition the load area cover can be stowed beneath the load floor when the luggage compartment needs to be loaded over the height of the glass line. Inside at the rear is enough space for three passengers, but with the front two seats fully back the legroom is on the tight side for tall adults. 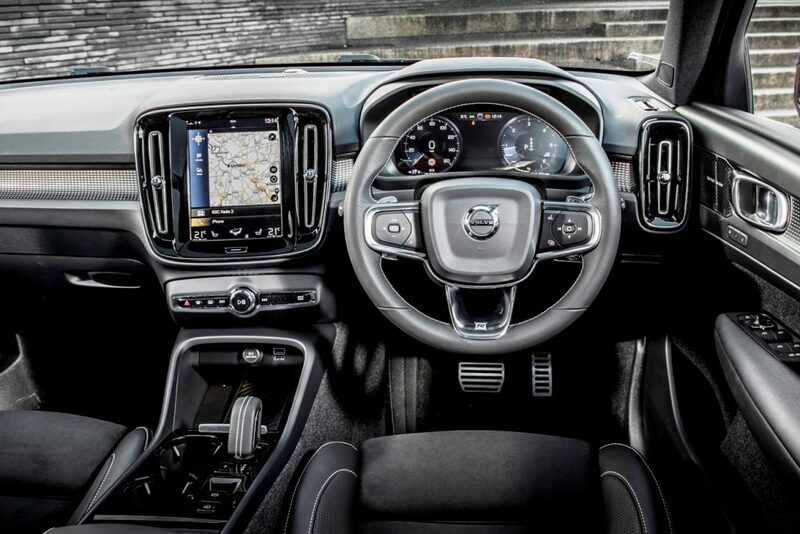 Up front it’s very much of Volvo’s current styling form with a standard-fit tablet style vertical touchscreen dominating the dashboard. This controls most of the function for the sat-nav, heating, ventilation, DAB radio and connectivity facilities. As always it will bring complaints from some users of having to use the touchscreen for these functions rather than safer and simpler conventional controls. The interior quality is impeccable and the specification items are considerable even for the lowest Momentum spec level which will be ample for most users, although the mid-class R-Design and R-Design Pro levels between them will be the most popular choice. As an indication I will just cover the Momentum spec items which include Sensus Navigation with full European mapping with free lifetime map updates and live traffic information, the 9-inch tablet style touchscreen, voice activated control system, Volvo On-Call with remote control of various car functions from a smartphone, smartwatch or tablet, Apple CarPlay and Android Auto connectivity, automatic LED headlights, two-zone air-con, 12.3-inch TFT driver info display, Drive Mode settings, City Safety which includes pedestrian, cyclist and large animal detection, front collision warning and fully automatic emergency braking, Oncoming Lane Mitigation, 18-inch alloy wheels, rear parking sensors, cruise control with speed limiter and height adjustable front seats. The Pro additional spec adds active bending headlights, powered driver’s seat, heated front seats, heated windscreen and auto-folding door mirrors. And so the spec climbs as you go through the range. At the media launch ahead of the arrival of other models we only had the First Edition versions to try and they are ‘fully-loaded’. 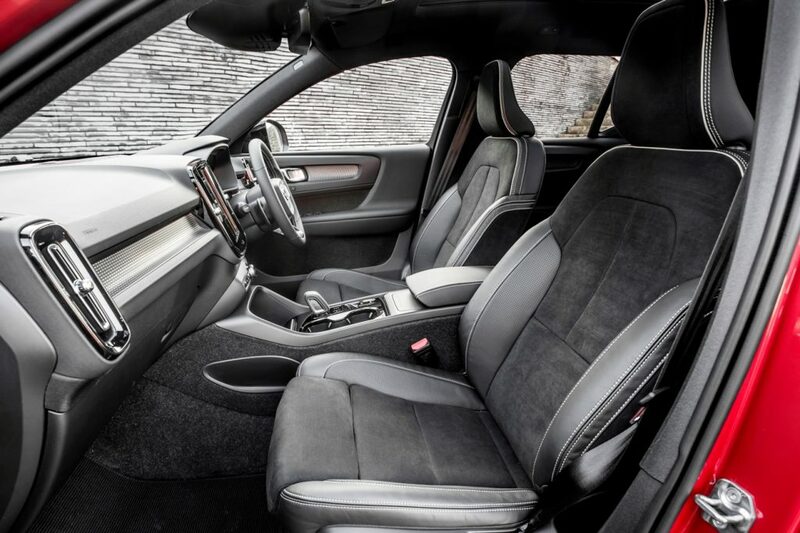 They are based on the already high spec R-Design versions which include leather upholstery. First Edition spec adds such items as the Xenium Pack which normally costs an extra £1,600 and includes a power glass tilt and slide sunroof, Park Assist Pilot and 360-degree surround view camera. Also included is the £1,400 Intellisafe Pro Pack consisting of Pilot Assist semi-autonomous drive technology, Blind Spot information and Cross Traffic Alert with auto braking. 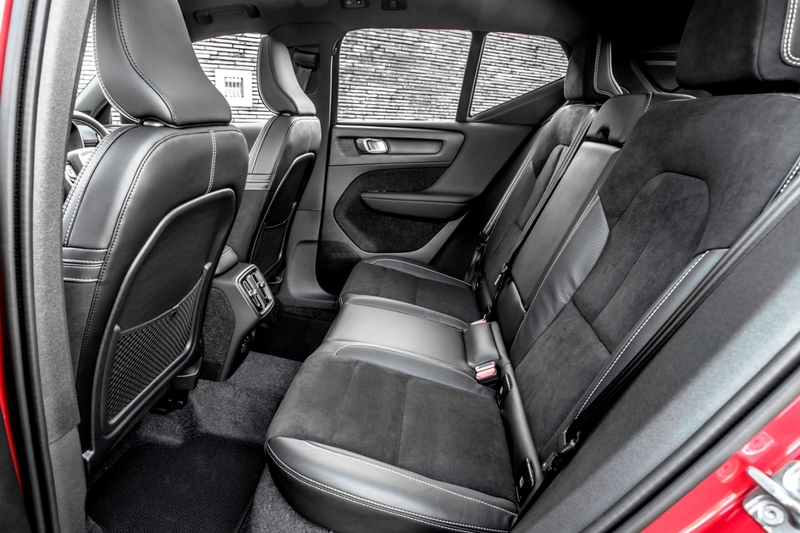 Also included are the hands-free opening and closing tailgate, Harman Kardon premium sound system, wireless phone charging, powered and heated rear seats, heated steering wheel, and power operated rear seat backrests and headrests. By comparison with the R-Design Pro D4 AWD auto diesel model with the same engine and transmission, the First Edition spec model costs just £2,705 more at £39,905. Given the added high spec technology the First Edition models have they look a bit of a bargain so no wonder the advance sales are high. For our brief test driving from Volvo’s new £6-million Training and Development Centre around the Daventry area in both the D4 AWD and T5 AWD First Edition models, even the first look of the vehicle’s chunky purposeful styling indicated that this will be a significant addition to the fast growing compact SUV sector – and is likely to become the benchmark model against which others will be compared. It looks desirable and no doubt once other less costly models are available will be seen in high numbers on school runs and doing family duties at the weekend. I can see it being a must-have for affluent mums and potentially a more desirable one now than the dated looking Range Rover Evoque. With large 19-inch wheels and numerous lengths of potholed roads the ride was firm and thumps and bumps were felt inside the cabin but on smoother winding roads the vehicle came into its own with limpet-like surefooted well-balanced handling thanks to the AWD traction. The steering was light at slow in-town speeds and easy for parking but firmed up nicely at higher out-of-town speeds. The D4 190 hp turbodiesel four cylinder engine provides 400 Nm (295 lb.ft) of torque from 1,750 rpm so whatever the pace required it supplies response with ease. However during hard acceleration it sounded stressed and had a harsh engine note. A little less pressure on the accelerator and the noise calmed down to provide a gutsy performance. Top speed is 130 mph and zero to 62 mph takes 7.9 seconds. Officially this unit with its smooth changing standard fit eight-speed automatic gearbox and AWD will return 56.5 mpg in the Combined Cycle and on our test drive with a mix of town and country roads the figure was 32.5 mpg – not close enough to the official figure. The CO2 emissions of 133 g/km means the new VED First Year road tax rate from April will be £515 followed by the £140 Standard rate for year two onwards. Company car drivers will pay the new higher Benefit-in-Kind tax rate of 31% and insurance is Group 30E. We also had the opportunity to sample the T5 AWD First Edition model priced at £40,055. With the standard fit eight-speed auto gearbox this turbocharged, four cylinder petrol engine pushes out 247 hp and 350 Nm (258 lb.ft) of torque from 1,800 rpm. Most noticeable was how much more refined and quieter it was than the diesel both at tickover and mid-speed running, and also under hard acceleration. Out of the two First Edition models available it would be my choice, unless I was a high mileage user where fuel economy was important. Top speed is 140 mph and zero to 62 mph takes 6.5 seconds. However the Combined Cycle fuel economy figure 39.8 mpg might ring alarm bells for some and our test drive figure of 30.9 mpg will bring little comfort. The CO2 emissions are 166 g/km so VED First Year road tax from April is also £515 before reducing to the £140 Standard rate. But there is a sting in the tail to these running costs as this model costs over £40k it incurs the VED £310 annual supplement for five-years from Year Two onwards. Company car drivers will pay 34% BiK tax and insurance is Group 33E. Overall these two top spec versions are impressive pinnacle models for the new XC40 range but the forthcoming T3 petrol and D3 diesel manual 2WD models with Momentum spec priced at £27,905 and £28,200 respectively gives more affordable access for more potential customers to Volvo’s now very desirable XC family of SUVs. 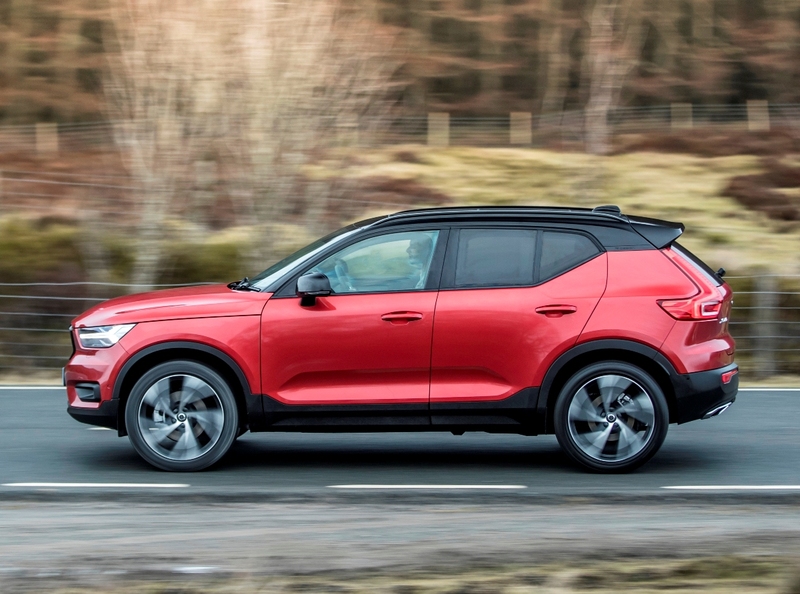 As diesel powered models are expected to account for 75% of XC40 UK sales we are spotlighting the D4 AWD model in our Milestones/Wheels-Alive specification chart. For: Already awarded 2018 European Car of the Year title, classy styling inside and out, desirable kerb appeal, high specification even for base spec models, clever boot floor load securing combinations, comprehensive safety and driving support systems, wide range of models and engine choices with hybrids/electric versions to come later. Against: Expensive versions launched first, limited rear seat legroom, only average boot/loads space, harsh-sounding diesel engine under acceleration, firm ride over poorer road surfaces, too many most-used controls have to be operated via the touchscreen, ungenerous warranty. Volvo XC40 D4 AWD First Edition, compact SUV. Engine/transmission: D4, 2.0 litre, four cylinder turbodiesel 190 hp, 400 Nm (295 lb.ft) of torque from 1,750rpm, eight speed automatic with AWD. Performance: 130 mph, 0–62mph 7.9 seconds. Fuel consumption: Combined Cycle 56.5mpg (32.5mpg on test). Emissions and taxation: CO2 133 g/km, new from April VED First Year road tax £515 then £140 Standard rate, new rate BiK company car tax 31%. Dimensions/capacities: L 4,425 mm (14.52 ft), W 1,910 mm (6.27 ft), H 1,658mm (5.44 ft), wheelbase 2,702 mm (8.86 ft), boot/load space 460 to 1,336 litres (16.24 to 47.18 cu.ft), braked towing weight 2,100 kg, five doors/five seats.